There’s just no escaping the fact that in the retail environment of today, attracting and keeping customers increasingly revolves around an enterprises’ ability to interact with and attract shoppers from across an ever expanding spectrum of contact points. The growing and most dynamic of these are electronically generated. The revolution that has swept through the world of media and information technology over the last decade has transformed the environment for retail operations to such a degree that no area of commerce has been left unaffected. Staying up to date with these advances, and finding ways to creatively incorporate them into an integrated retail marketing strategy, has become essential to gaining customer attention and sustaining commercial viability. Internet has changed the world forever, and every successful retail operation has long since adapted to this reality by establishing a presence online as a key element of their overall marketing strategy. Yet, as recent as the emergence of the internet may seem, the ways shoppers and information seekers use it has continued to change and evolve. Over the last few years the advances and innovations which have come to mobile internet devices has utterly transformed how people use the internet, and how they interact with shopping and commercial relationships. The percentage of people who now conduct a large portion of their online activity via some form of mobile device has skyrocketed, with no end in sight. In today’s internet marketplace, retail operations that do not have an application (app) specifically designed for use on a handheld mobile device are, quite simply, missing out on being seen by many potential shoppers, and every day that percentage increases. Every retailer knows that the most powerful form of promotion they have available is the buzz of comments they can create within the buying public. A consumer talking to other consumer what really gets shopper’s attention and traffic into your Store. So it should come as no shock that right alongside the incredible ascent in the use of mobile internet devices, there has emerged an explosion in the ways people communicate with each other. The growth of this social media has transformed the world of word of mouth advertising from a local to a global phenomenon. Retailers who understand this and have adapted to this new landscape have seen their visibility expand, and their reach extend to areas that seemed out of range even a few short years ago. Generating traffic to both your website, and your brick and mortar locations, has been utterly transformed for retailers who have developed a seamless interface between their web-presence and social media sites such as Facebook, Twitter, along with myriad other bookmarking applications. Mobile eCommerce has arrived and is changing the shopping public’s interaction with the internet – and you – in fundamental ways that directly impact the bottom line of every retailer who is moving with this tidal wave of innovation and change. What is emerging from this new environment is dramatically enhanced ease of use for shoppers. And there is no greater guarantee of customer loyalty to your operation than making their interaction with you as easy, and effective as possible. The continued growth and development of mobile eCommerce is the cutting edge of that continued interaction – and the key to maintaining and expanding your customer’s engagement at the point of sale – which they now hold in their hand. How to increase Sales and Customer Loyalty in Mobile Marketplace? As the economy slowly begins to return to a state a stability, the large majority of consumers are still feeling hesitant as they begin to wade back into the waters of retail shopping. It is because of the reluctance to spend that most industries have enlisted the help of some kind of retail management system to assist with boosting sales, tracking inventory, and managing customer loyalty programs. Because these loyalty programs are so important in acquiring and maintaining customers, it is critical that retailers remain ahead of the curve with the latest technologies. Making use of a strong retail management system will help you to attract and encourage buying from consumers via mobile loyalty programs. 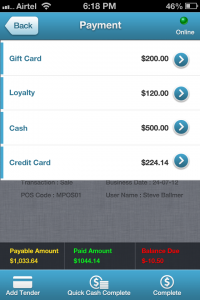 Why should I go mobile for my retail loyalty program? In today’s world, everything from friendships to ordering pizza have gone mobile – so why shouldn’t your loyalty program? With the ever growing popularity of cell phone apps and the usage of tablets, consumers are demanding that retailers stay on top of mobile market trends by catering to their every need in a way that is easy to access and use, even while on the go. 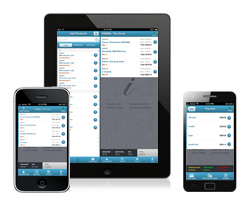 Here are a few of the many reasons that your retail management system should allow for mobile loyalty programs. Impact before checkout – On the whole, consumers and retailers alike have grown accustomed to the fact that many loyalty programs don’t do much more than add “points” to an account. Once these virtual points reach a preset threshold, the customer will receive discounts upon checking out. The problem with this system is that once the consumer has reached checkout, it is too late to encourage an increase in spending as the customer has already finished shopping. When your retail management system incorporates mobile-based loyalty programs, on the other hand, consumers are able to access and view their benefits throughout the shopping process which will encourage them to buy more. Personalization – Another great advantage to mobile loyalty programs is that it allows for personalization. Each time a customer checks in, your retail management system will be able to learn what appeals to and interests these consumers most. In this way, you will be able to provide personalized offers that will yield a higher response rate. Social Media – Your retail management system should be able to link mobile loyalty programs into social media. Consider the impact of online communities like Pinterest on social networking. People love to share their great finds with their friends! Mobile loyalty programs that are hooked to social networks will allow customers to share their purchases and loyal activity with friends which reinforces the value of what they have bought while offering you free advertising. Mobile Payments – One of the latest trends in cellphone and tablet apps is the ability of consumers to make payments directly from their phones. It is being predicted that the widespread usage of mobile devices to make payments at retail location is closer at hand than you may believe. 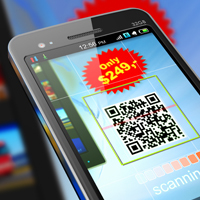 Your consumers are already going mobile in your store – why not use to to your advantage? Mobile loyalty programs are the wave of the future and will lead to increased consumer satisfaction and higher overall revenue. A business needs to innovate or they risk becoming irrelevant. 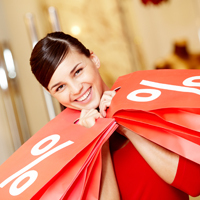 The typical sales model no longer applies for retailers. There’s no doubt that there will always be a need for brick and mortar stores; people need to touch and feel a product before purchasing it. In fact, over a third of online consumers cite this as the top reason they don’t prefer to buy online. Today, however, it’s really all about convenience: consumers want to buy whenever they want to, wherever they are, and as easily and hassle-free as possible. They may love shopping at your store most of the time; but they also want to be able to purchase from you when they are stuck at the office late or at midnight when they are shopping for holiday gifts. 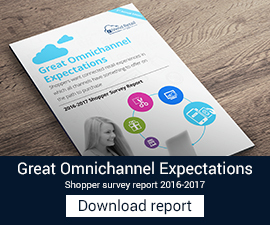 Retailers big and small must integrate multi-channel retailing into their repertoire or they will experience attrition in sales and their customer base consistently. Nordstrom’s just announced that they are testing a mobile application that will allow customers to order custom made men’s suits whenever they desire. Can you imagine sitting in your hotel room at midnight, while away on business in Asia, ordering several thousand dollars worth of custom, high end suits? 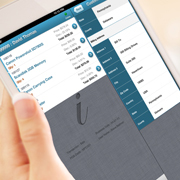 Neiman Marcus has a mobile app that allows you to work with your favorite sales associate. Are you embracing innovation in your business? If not, imagine the impact of the following scenarios on the success of your business. A frequent client stops by your shop, looking for a dress for an upcoming special occasion. After trying on several dresses, she leaves, saying she’d like to think it over more. Later that week, she decides on one of the dresses at your shop, but she’s at a mall twenty minutes away and your store is closing. She looks up your store on her mobile phone’s browser so she can purchase it and then pick it up tomorrow. Alas, your webpage doesn’t have mobile capability. She gets frustrated when it’s cumbersome to navigate your site, and ends up ordering the same dress from another store at a nearby mall. Loss of convenience = Dollars flying out the window. Your children’s retail boutique recently started carrying a decorative accessory that is aimed toward the preteen girl’s demographic. It’s predicted to be the new hot trend. While in-store sales are fairly flat for this item, they seem to be selling well online. However, you don’t have the time or the tools to assess who’s buying these items. You soon run out of stock and the item is backordered. If you had a retail management solution that integrated with your multi-channel retailing, you’d have quick access to important customer data, such as detailed demographics of purchasers as well as anyone who clicks on your site. What if a young teen in Texas wore this to her school and started a huge trend, which quickly spread in the area? By having quick access to this data and integrating it with your social media platforms and customer loyalty programs, you could have marketed to a targeted demographic. Instead, some other retailer has capitalized on the trend. No management tools = Lost sales. You own a chain of electronic and consumer goods stores. They become crowded during weekends, especially when you are running popular promotions, and it often seems like your sales staff isn’t able to keep up with all the questions. A male shopper who is well-versed in IT equipment stops by to purchase a computer and other accessories, all of which are on sale. However, he can’t get anyone to help him and the checkout lines are long. Because he’s in a hurry, he leaves and plans to come back later. But he doesn’t get a chance to stop back before the sale ends, and takes advantage of a competitor’s sale on the same item the following weekend. If your store had been equipped with mobile solutions, such as in-store tablets, your customers could order their purchases throughout the store and speed up the process. 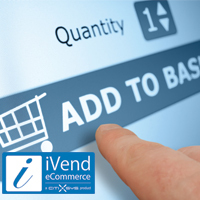 Imagine making your customer’s shopping experiences a simple and easy task. Whether at home, on the road, or in your store, your innovative systems are providing them with ideas, information, and convenience. This translates into more sales and revenue for your business. Can you afford not to innovate?